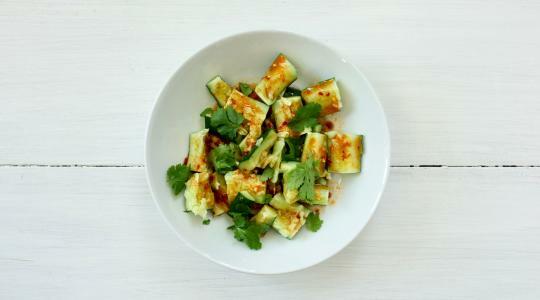 In a small bowl, stir together the sambal, rice vinegar, grapeseed oil, sesame oil, sugar, and salt. 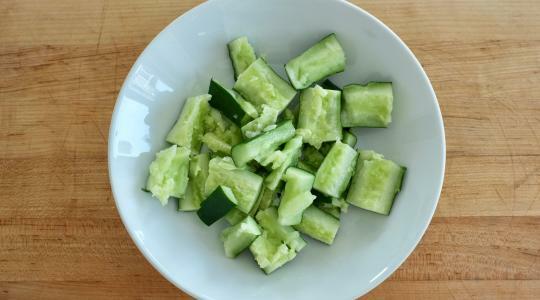 Cut the cucumbers crosswise into 1½-inch pieces. 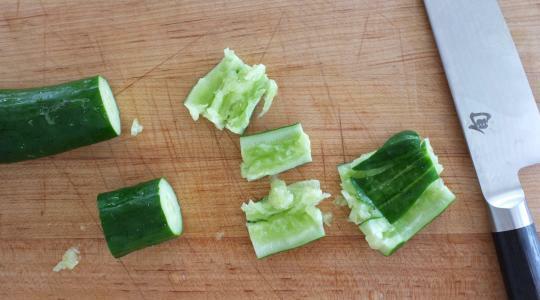 Using the side of a chef’s knife, gently smash each piece. 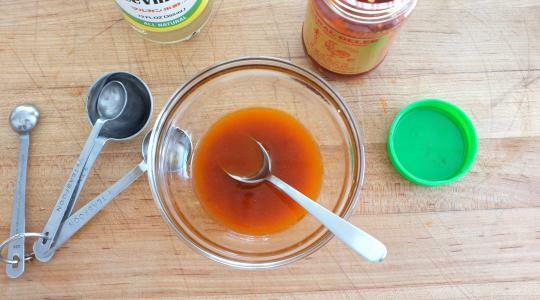 Put into a serving bowl and toss with the vinaigrette. Serve topped with cilantro leaves.